I’ve got five days to go until my Summer of Sweat goal race, the Scotiabank Toronto Waterfront Marathon on Sunday, October 18th. How am I feeling? Anxious as ever; and that’s nothing new. I always get stressed out before a race, but this time it’s different. I think I’l have to adjust my goal significantly. But sometimes you can surprise yourself on race day. Everything might fall together wonderfully, as it did for me last year at the Chicago Marathon. I’ll fill in you in in my final blog post, my post-race wrap up, but today I wanted to talk about my new post-run hydration regimen. 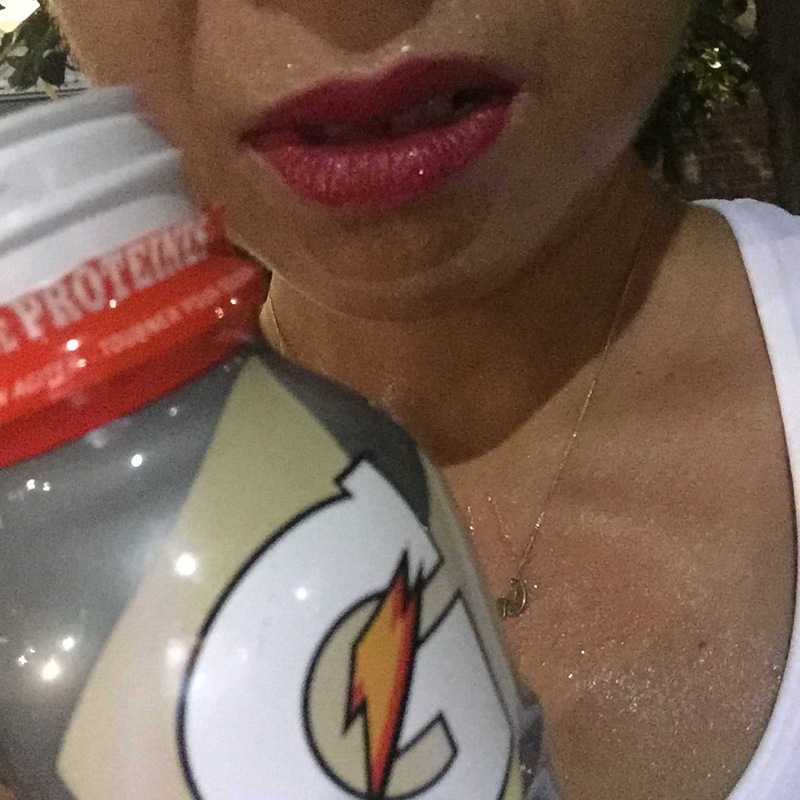 The best part of this Summer of Sweat goal thus far is how it’s forced me to focus on hydration during and after my runs (I still struggle with hydrating regularly when not working out, doh!). I’ve already shared how I’ve been hydrating during my actual runs, but a brand new element to my training regimen is how I’m hydrating after my run. 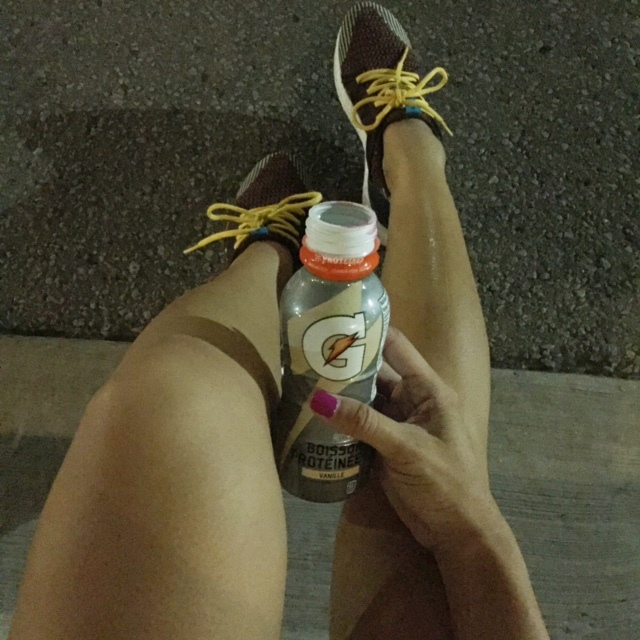 Usually, as I’m checking my overall time and pace on my app after a run, I finish drinking the sports drink I have with me in my fuel belt (it’s been Gatorade Thirst Quencher all summer) and then as soon as I get home, I grab a protein shake, like a Gatorade Protein Shake from my fridge. Designed to help recovery, the Protein Shakes, when icy cold out of the refrigerator, are a welcome (after a sweaty run! ), and easy way to get some protein and carbs consumed right away. The little tears in our muscles caused by exercise use protein to help rebuild so the sooner you can get some protein into your system, the sooner your muscles starts to repair themselves (Check out www.gatorade.ca for more information on protein’s role in recovery). Protein drinks like Gatorade Protein Shake have 45 grams of carbs (For a closer look at how carbs can help you recover following a workout, visit www.gatorade.ca) I prefer the chocolate shake over the vanilla (To me, it basically tastes like a slightly thicker chocolate milk), and after I down it, I hop into the shower (my Summer of Sweat training leaves me drenched in sweat!) and then put on something cozy to wear as I eat a proper meal (usually something fairly healthy — I sometimes feel too guilty to chow down on something crazy fatty and sugary when I feel so strong and accomplished post-run; don’t get me wrong, I’ve done it, but not all the time). Then, more often than not, I have a nap. Stay tuned to my Twitter and Instagram for more sweaty updates this week leading up to and, of course, on race day, October 18th! I’ll have my race report up on the blog the week of October 19th. Please send good energy my way, I could use as much as I can get for the race, and come out to cheer the thousands of runners that day if you’re in Toronto! Your support, funny signs and high fives really do make a big difference for us runners! I told you I sweat A LOT. 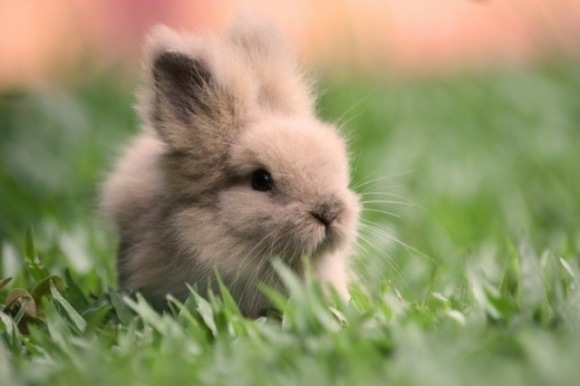 Happy Easter weekend! Don’t eat too many Mini Eggs! 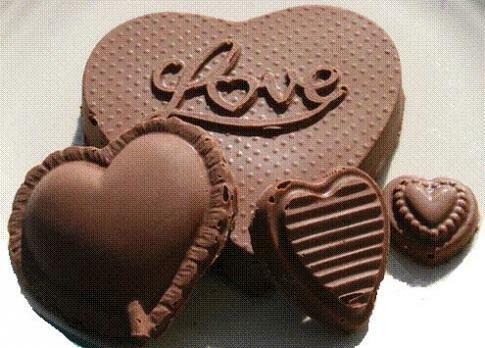 If you regularly eat chocolate, you’re likely leaner than people who never touch (or rarely have) the stuff. Average consumption in the study was twice a week — that’s pretty often. The researchers, whose study was published in the Archives of Internal Medicine, believe it may be the antioxidants in chocolate that play a role in other factors that are linked to reducing body weight. No indication of whether the study focused only on dark chocolate (which I interpret as good news for moi — I prefer milk chocolate! ).